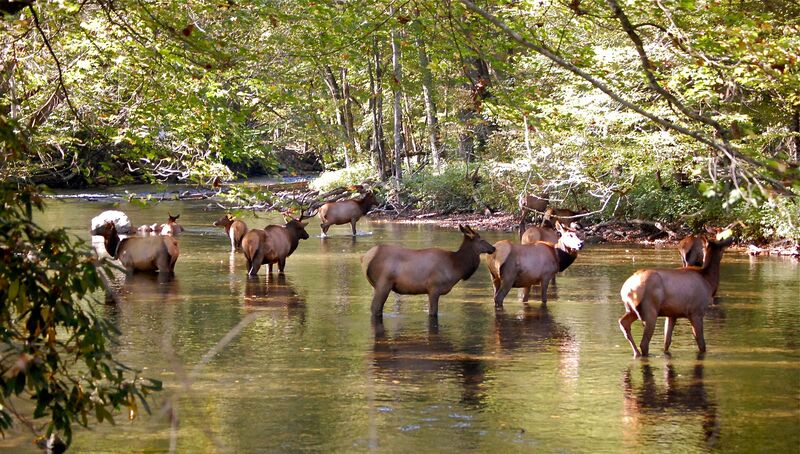 We found this herd of rogue elk deliberately ignoring the partial government shutdown! We caught them grazing in the Mountain Farm exhibit at the Oconaluftee Visitor Center, and resting in the Oconaluftee River. These elk shenanigans and the shutdown of Great Smoky Mountain National Park during our annual camping trip was enough to make me feel like a Grumpy Cat. Ha! I love the “Grumpy Cat” face! Sorry about the camping trip, but that is a fantastic photograph of elk having a bit of a splash in the river!